Dirt is moving on some renovations at TS&M Woodlawn in Estevan. Photo courtesy Bob Currie. Estevan’s TS&M Woodlawn Golf Club had a successful summer despite early and late weather woes. Head professional Amanda Minchin said the club dealt with a later start in the spring and a shortened fall due to unseasonable weather in October but, the year was still positive for the club. Minchin, a proud supporter of junior golf, said the Woodlawn hosted a Maple Leaf Junior Tour (MJT) event along with their regular club events and fundraisers for local groups in the Estevan region. 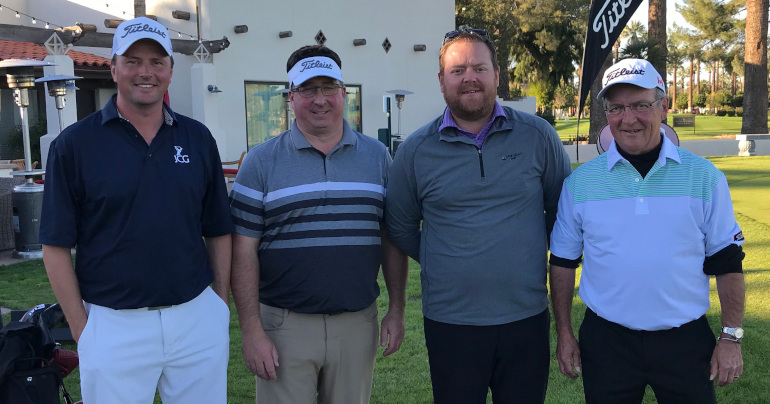 The club hosted a Future Links tournament in 2017 and will host another MJT event in 2019. The course hosted the 2015 Saskatchewan Men’s Amateur Championship. Minchin said they hope to have a provincial event back in the next couple years. When the course opens next spring members and players will notice a change to the par-5, 15. Minchin says the upgrades aren’t overly significant but will improve the 18-hole track. “We’re going to take old the old school bridge you see that caused a lot of maintenance issues with planks with the cart traffic. 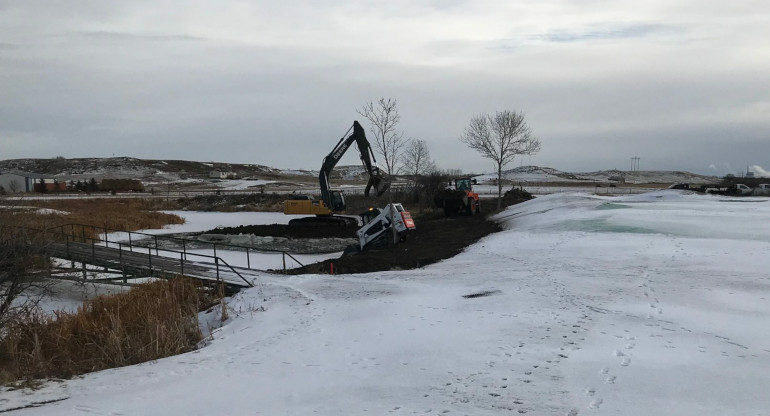 We’re going to remove that and build a land bridge like we did on hole 18 a few years ago to create some consistency in the course,” she explained. The cart path is also being moved near the 15th green. Minchin said when golfers are finished the hole they walk back towards to tee box to the path which isn’t ideal. She said the new path will allow play to flow better and help with pace of play on busier days. Minchin said overall the hole won’t change but continued improvements paid for with their profits add up over the years. “It won’t change the playability of the hole so much, there will be a little different look once you get on the green. We’re just hoping it will flow a little better with cart traffic. 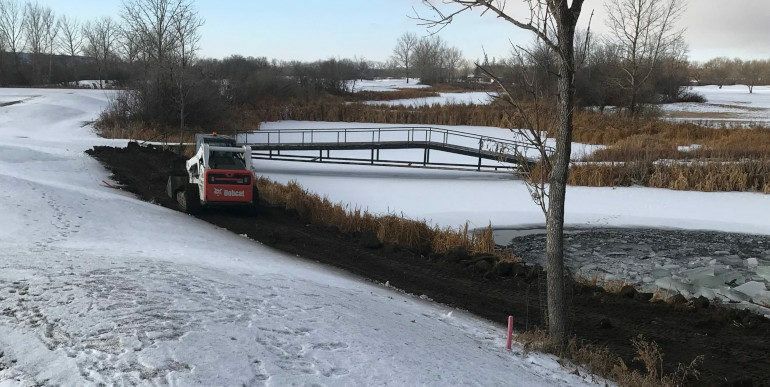 It also helps with beautification of the course getting rid of those old bridges we had, we used to have a lot of them on the back nine,” she said. Superintendent Bob Currie played a key role in the development of the changes and is assisting a local excavating company with the work. Minchin said Estevan has had good weather to conduct the work and the upgrades should be completed by the end of next week if the weather holds.